The other week Travis and I did something wild and crazy. 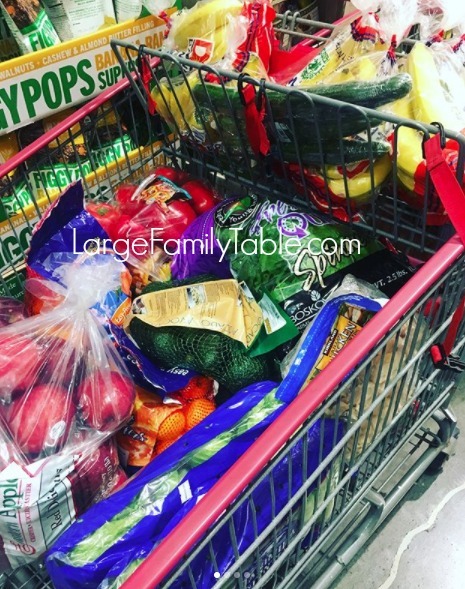 We went back to Costco for the bulk of this month’s large family grocery haul! We haven’t worked Costco hard for groceries in about two years now. 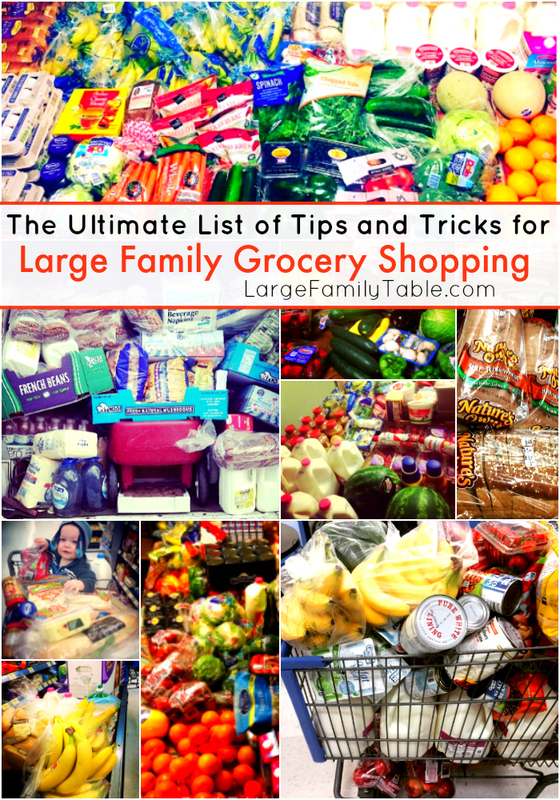 I felt it was time to go back and check out their meat, fruit, and veggie prices. Travis is also helping me more in the kitchen (it’s hard for me to let go of parts of that, haha! I shared more about that on Instagram here). 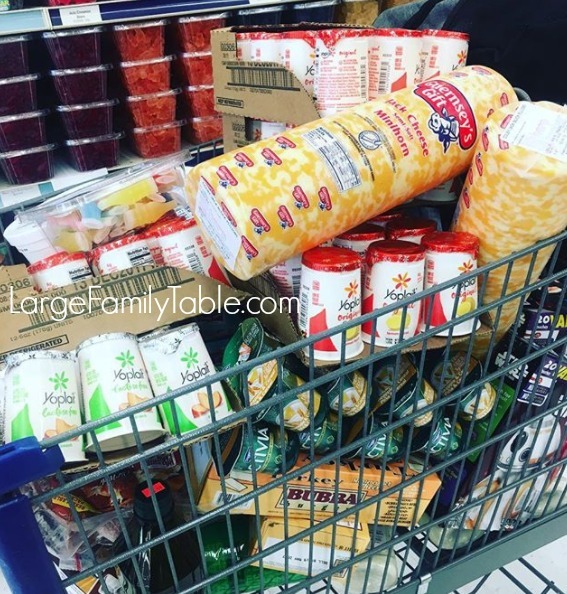 Here are my large family grocery haul Costco thoughts on Instagram. He wanted lots of veggies to do big family style salads for lunch. He’s also great at cooking steak, pork, and chicken for dinner. DON’T WORRY I’m still getting in another large family freezer cooking day in the future, and I have some new slow cooker meals I’m filming. But in the in-betweens and even amongst all that we’re going to let Travis cook some stuff, too! 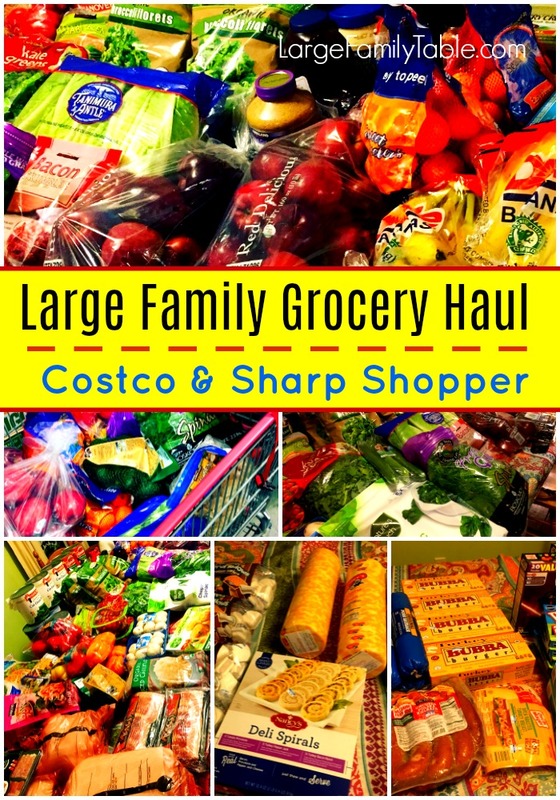 Click here to watch the full Large Family Costco Grocery Haul | + Sharp Shopper Grocery Outlet | $722 Total vlog on YouTube!